In order to create a pricing package on your site you must first purchase and installed the WC Paid Listings plugin along with the free WooCommerce plugin. 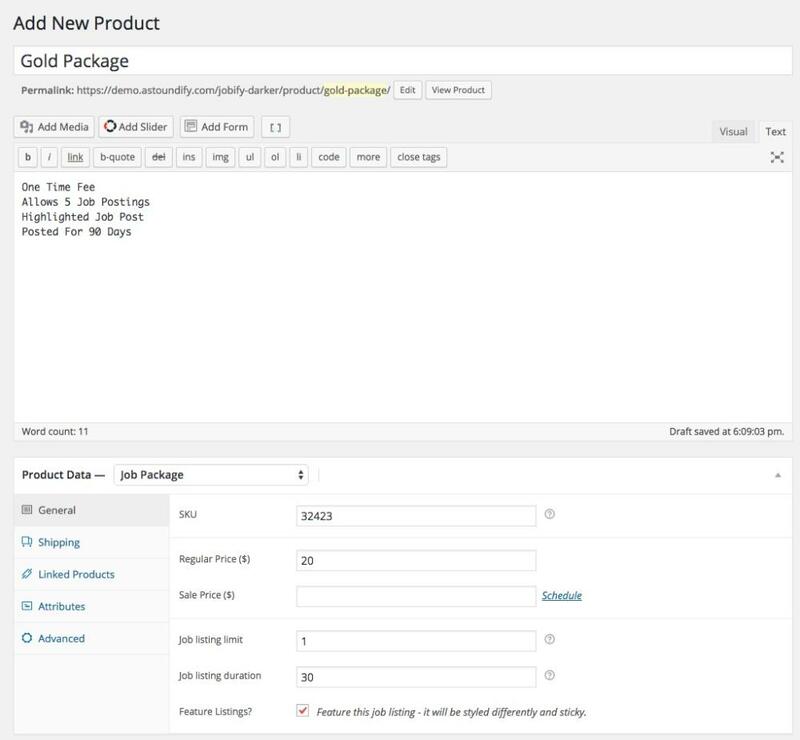 To create a "package" for users to purchase in order to post a listing simply visit " Products > Add New" in your WordPress menu. Next, set the product type to "Job Package"
Once you have done this you can set the price, number of listings allowed, duration, and whether or not the listings will be featured.